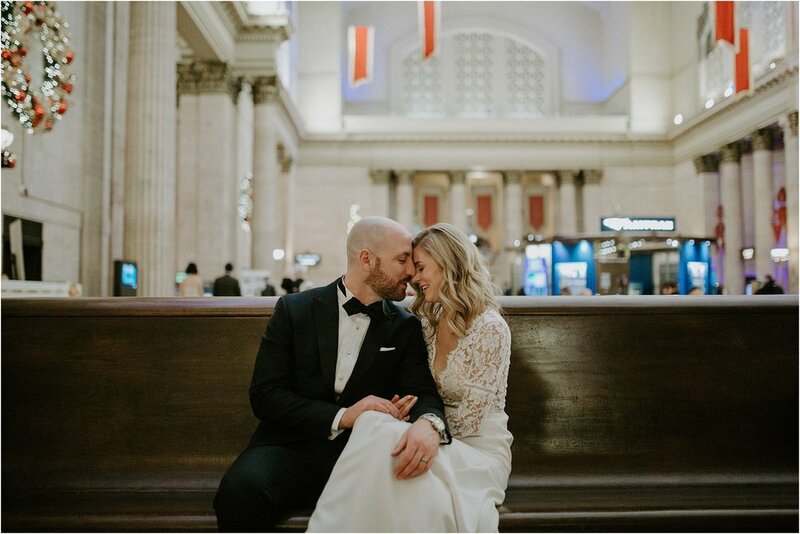 Kelly and Jason's winter wedding in Chicago was so much fun. 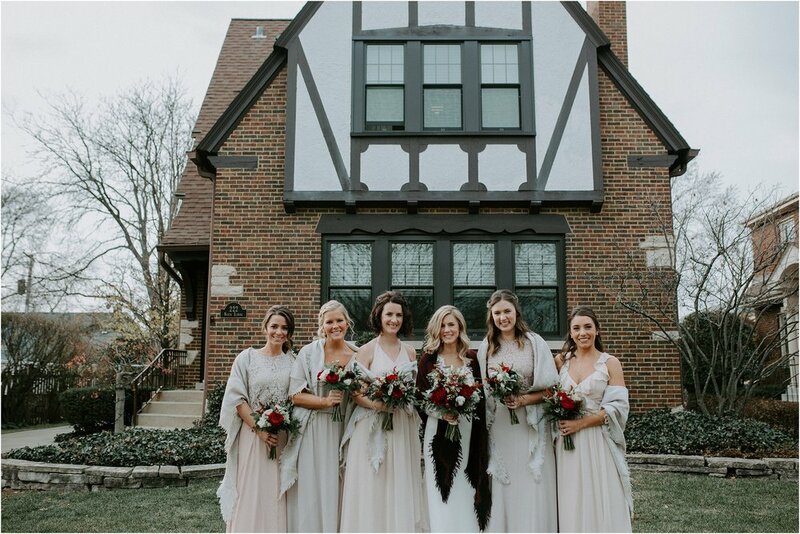 Kelly got ready surrounded by her family and best girls in her childhood home in Park Ridge. 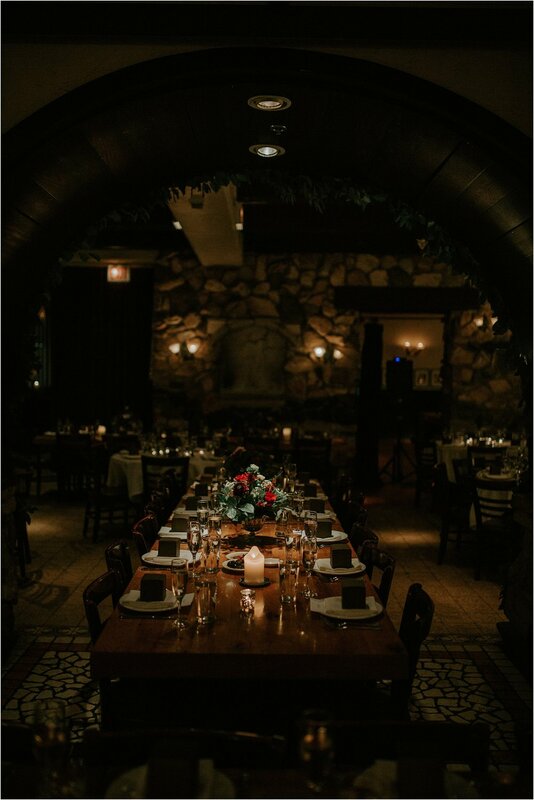 If you've not been to Park Ridge, it's adorable! I love it...the houses are beautiful. 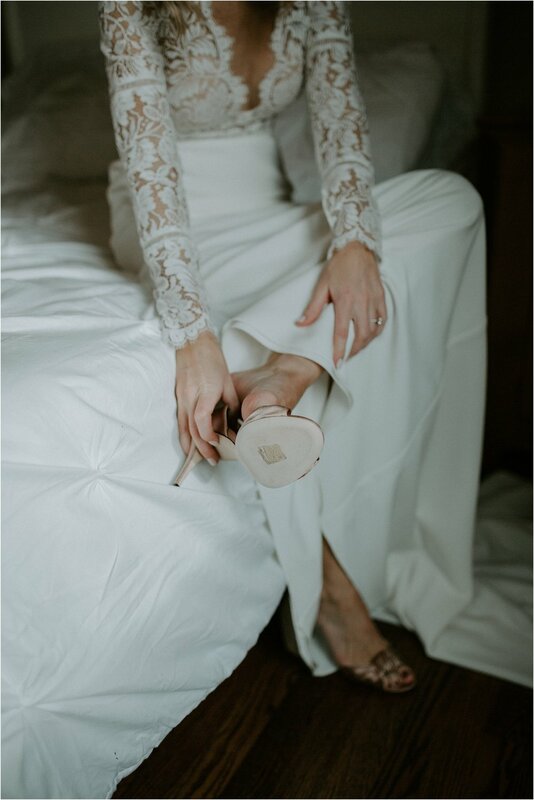 Kelly's family and friends were so kind and welcoming and shooting while she got ready with her mom and sisters was my favorite part of the day. 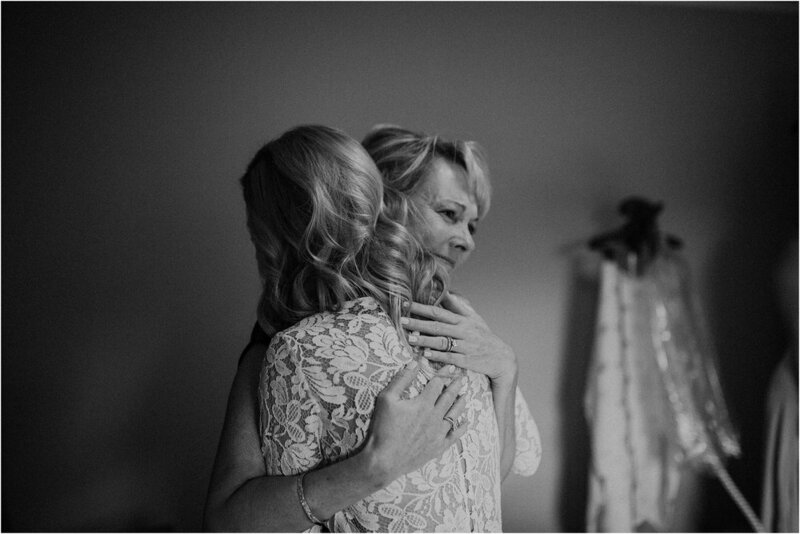 The light was so dreamy coming through the windows of her parent's beautiful, old home. 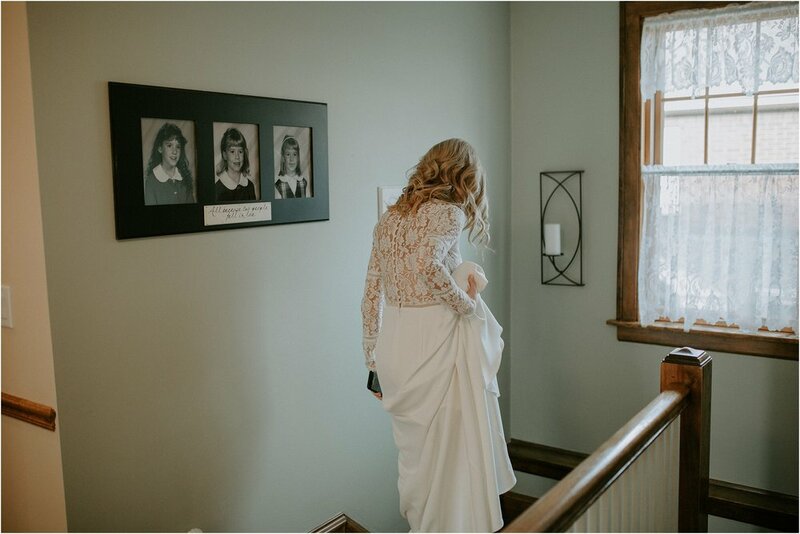 I love when bride's get ready in their childhood homes, it makes me wonder just how many special occasions Kelly's mom got her and her sisters ready for in the same hallways, up the same set of stairs. How many memories are shared in the walls of their home. 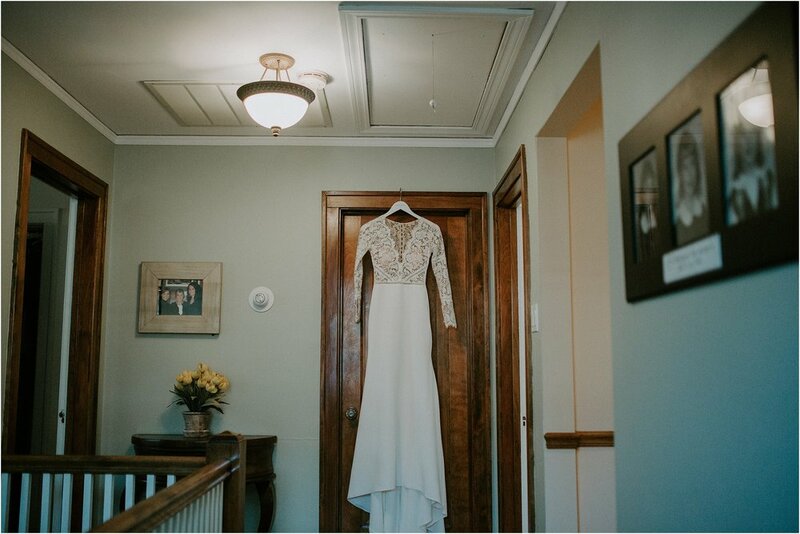 Anyway, favorite getting ready photos and Kelly's dress...I was PUMPED. 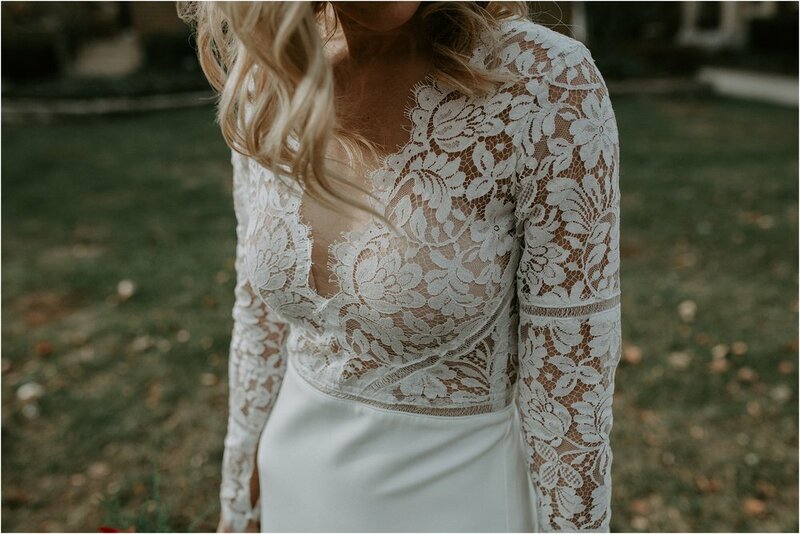 It's a Sarah Seven dress and let's just say if I were getting married in this decade I would 100% be trying on Sarah Seven dresses. I'm obsessed! 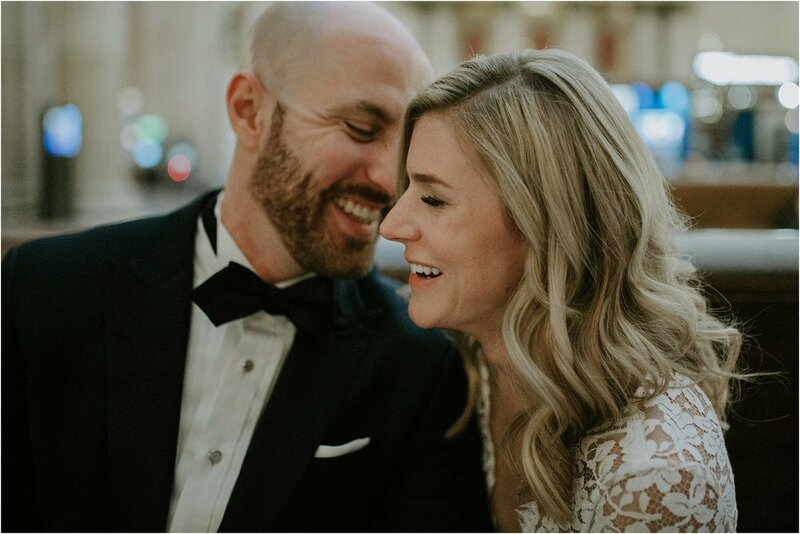 Jason and Kelly got married in Park Ridge at a church right down the street from her house then we headed downtown Chicago for their reception at Osteria Via Stato. That place was so moody and romantic! Enjoy a few scenes from my favorite parts of their day.